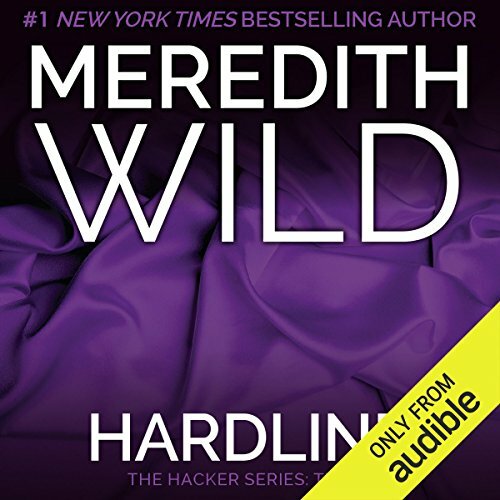 ©2014 Meredith Wild (P)2015 Audible Inc. I listened to the first two books in this series and then bought this one. I got about an hour in and then got bored and stopped listening. Over the last couple of weeks, I've tried to go back to it a couple of times and just get bored again quickly. Thus, I returned the book because I can't get through this one much less the two more after it. It such a shame because I really dislike not finishing a series. This book was great... I definitely sense trouble coming the couples way. Richard is going to be a nasty piece of work. Well written story and very well narrated. Where does Hardline rank among all the audiobooks you’ve listened to so far? This is the best audio book that I have listened to. It is much more realistic than others and made me want to keep listening. Erica was the best. She is honest and upfront. She keeps everything real and can always come up with something witty to say. She was innocent but still went for what she really wanted in life. And she really wanted Blake and wanted to make him happy. What about Jennifer Stark’s performance did you like? I enjoyed that Jennifer could bring each character to life and was able to use a different tone for the different characters. She brought out all qualities in the different characters. She could make it seem like you were sharing the same space with them watching the story unfold right in front of you. I forgot how emotional this book was. Hearing the story out loud made the story come to life. I found myself gasping at certain parts or feeling the pain that Erica could have been going through. This is a fantastic book, well written and being able to hear it in audio form makes it even better. Great job to the Meredith and Jennifer!! This book was just filler. This really gets on my nerves when authors do this. I'll be so glad when this stores is finished. Terrible. Worst series I've read in a long time. Total rip off of 50 shades of grey. Waste of money. This was an awesome. I can not wait to hear and read the next books. I am definitely a new fan of Meredith Wild! well this is the second time I've listened to the haker series & I still love the romance, the intensity, life struggles & suspense. this series has it all. It keeps me interested the whole time. I can't wait to listen to Hardpressed! I originally ordered this series to listen to while I am driving but I am finding myself listening whenever and wherever I can 😊.